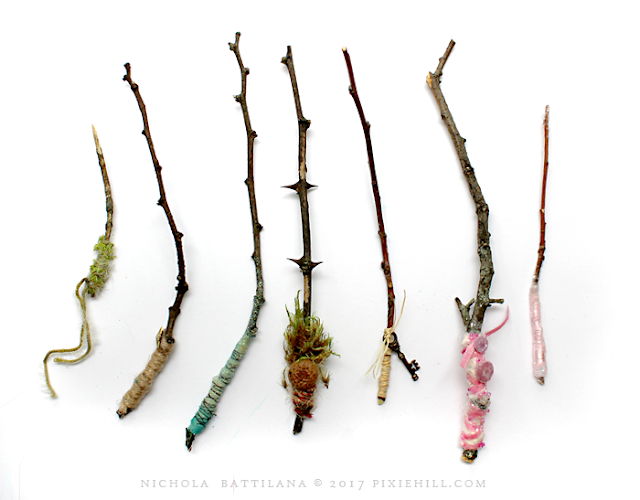 I happened across a fair number of wands this weekend. I'm sure the weather has the wee folk a little more fumbly and droppity than usual. 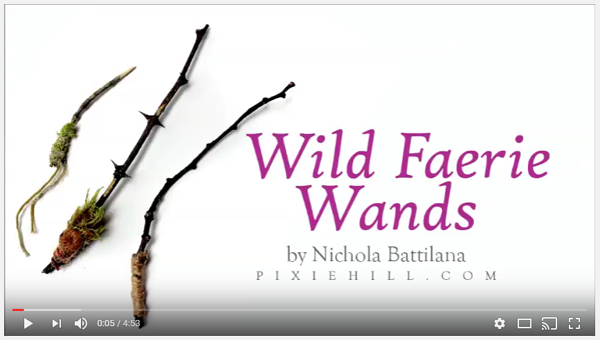 With the plethora of wands scattered about, I thought I'd share some thoughts on embellishing wild faerie wands. There are a number of things to consider when encouraging the wand to reveal it's magical nature. A quick google search for "magical properties of wood" will lead you to a wealth of information on the subject. Charms can add to the magical purpose too! 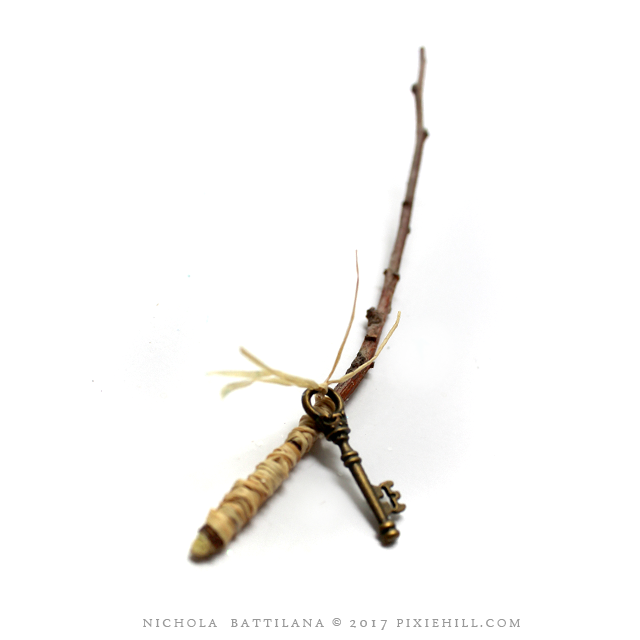 A key might be helpful for magic that opens the way to you. 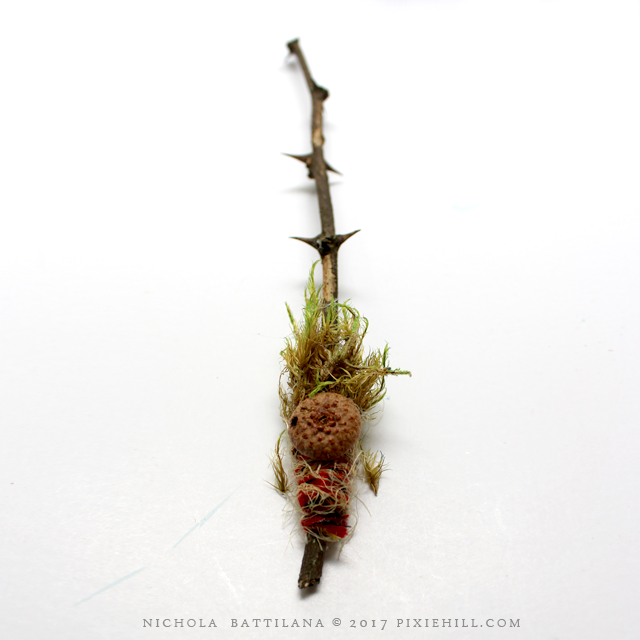 I think that acorn caps, buttons and found objects hold a great deal of magic in them. 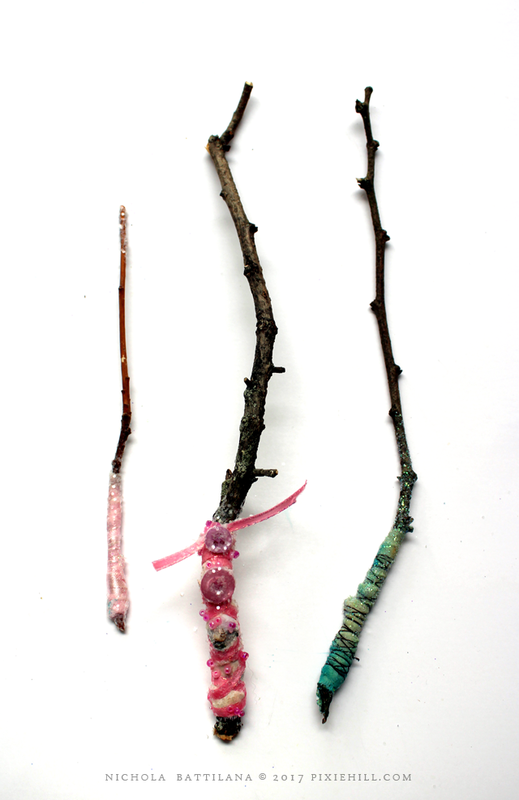 You could also sew beads and gems to those magical wands. You might carve and shape your wand. Whittle a point, or carve patterns or symbols into the bark. Colour can add to the magic too! Again, a little research will provide you with a lot of information on colour and magical associations... but don't neglect your intuition*. 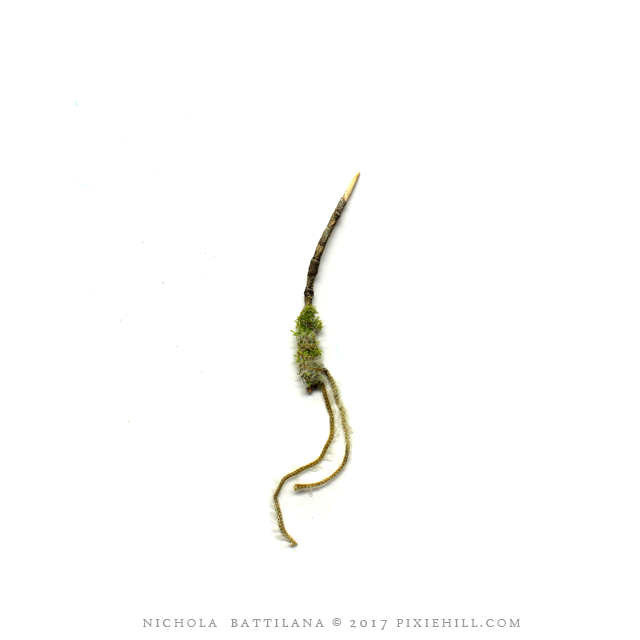 Faeries in your particular region may have a very different opinion of the colour yellow than the faeries in my back garden. *I have always read that faeries love milk. That leaving a small dish would be an appropriate offering. Mine HATE milk! The last time I left them some they turned all the milk in the house sour. So trust your experience over what some silly website says... even this one. These are all so lovely,they made me smile. Thank! I like a photo, you make it using photobox? Very beautiful.